One of the fields where relations between Serbia and Japan are being continuously strenghten is the medicine. By now, there has been an increasing cooperation especially in the area of surgery, from liver transplantation to cardiology, in terms of exchange of knowledge and experts. This year, there have been several success stories as a result of efforts from both sides to maintain intensive and quality collaboration. In the area of liver transplantation surgery, the School of Medicine of Tokyo University, invited our surgent Dr Zoran Milosevic for expert study of new „living donor“ method under the guidance of world famous Prof. Dr Masatoshi Makuuchi. This method, performed by small number of surgents in the world, will be, for the first time, implemented this year in Novi Sad, Serbia, and a joint liver transplantation operation with Dr Makuuchi is expected at the end of 2006. In the area of plastic and reconstructive surgery, every year Showa University School of Medicine has been accommodating a fellowship doctor from Serbia. Although a country with turbulent history , Serbia has been a motherland to some famous scientists from various fields Their achievements have contributed largely to this world, and even, in some cases, change the course of history. Nikola Tesla (1856 - 1943) was a world-renowned inventor, physicist, mechanical engineer and electrical engineer of Serbian origin. He is regarded as one of the most important inventors in history. He is well known for his contributions to the discipline of electricity and magnetism in the late 19th and early 20th century. Tesla's patents and theoretical work form the basis of modern alternating current electric power (AC) systems, including the polyphase power distribution systems and the AC motor, with which he helped usher in the Second Industrial Revolution. The unit for magnetic induction (T) bears Tesla’s name, although the unit gaus [G] was used until the introduction of the SI system. The proposal for introducing the unit tesla came from the professors of the Belgrade Faculty of Electrical Engineering, Pavle Miljanic and Aleksandar Damjanovic. Deliberation lasted from 1950, when it was submitted, until 1960, when it was adopted at the 9th General Conference for Weights and Measures. In the United States, Tesla's fame rivaled that of any other inventor or scientist in history or popular culture. After his demonstration of wireless communication in 1893 and after being the victor in the "War of Currents", he was widely respected as America's greatest electrical engineer. Much of his early work pioneered modern electrical engineering and many of his discoveries were of groundbreaking importance. In 1943, the United States Supreme Court credited him as being the inventor of the radio. Never putting much focus on his finances, Tesla died impoverished at the age of 86. Tesla's legacy can be seen across the modern world wherever electricity is used. Aside from his work on electromagnetism and engineering, Tesla is said to have contributed in varying degrees to the fields of robotics, ballistics, computer science, nuclear physics, and theoretical physics. In his later years, Tesla was regarded as an unconventional scientist so many of his achievements have been misused to support various pseudosciences, UFO theories, and New Age occultism. Contemporary admirers of Tesla have deemed him "the man who invented the twentieth century”. In 2006, the world, as well as Japan, has celebrated 150 years since Tesla’s birth. Among central events, organized or supported by the Government of Serbia, were the International Conference in Belgrade, numerous exhibitions, performances and public lectures and, by far, most striking – naming the international airport in Belgrade as “Nikola Tesla Airport” . 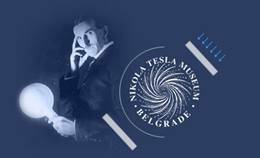 By now, Tesla’s achievements have been highly respected in Serbia – there is a statue and museum dedicated to his work, a 100 dinars bill has his picture, streets and schools were named by him and even his remains are preserved in Belgrade. In Japan, the event was celebrated by series of lectures in NHK Broadcasting Museum and Kawasaki Hall, followed by Intenational Genious Conference in Tokyo. Milutin Milanković (Serbian Cyrillic: Милутин Миланковић) (1879-1958) was a Serbian geophysicist, best known for his theory of ice ages, relating variations of the Earth's orbit and long-term climate change, now known as Milankovitch cycles. He published a monograph in 1920, in the publications of the Yugoslav Academy of Sciences and Arts, by Gauthiers-Villards in Paris, under the title Théorie mathématique des phénomènes thermiques produits par la radiation solaire (Mathematical theory of thermal phenomena caused by solar radiation). 2. Handbook on geophysics for which he formuled his theory of the secular motion of the Earth's poles, and his theory of glacial periods (Milankovitch cycles), which was built on earlier work by James Croll. In 1941, on the eve of war in his country, the printing of his great work Kanon der Erdbestrahlung und seine Anwendung auf das Eiszeitenproblem (Canon of Insolation of the Earth and Its Application to the Problem of the Ice Ages) was completed, 626 pages in quarto, in Cemian, issued in the publications of the Royal Serbian Academy. 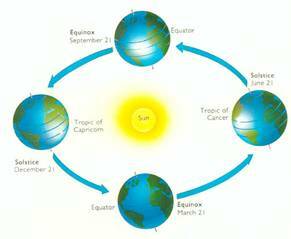 Objections were raised in the 1950s against the Milanković theory of ice ages; these objections came mainly from meteorologists who claimed that the insolation changes due to the changes in the Earth's orbital elements were too small to significantly perturb the climate system. However, in the late 1960s and 1970s, investigation of the deep-sea sediments brought widespread acceptance of Milanković's view, since the periodicity discovered (100,000 years) matched so closely with the longest orbital period — see Ice age for more discussion. In addition to his scientific work, Milanković always showed great interest in the historical development of science. He wrote a textbook on the history of astronomy, and two books on a popular science level. Milanković also published a three volume autobiography in Serbian, Recollection, Experiences and Vision, which never was translated. For this reason his son, Vasko Milanković, has completed a biography: My father, Milutin Milanković. Milanković was elected a corresponding member of the Serbian Academy of Sciences and Arts in 1920, a full member in 1924, a corresponding member of the Yugoslav Academy of Sciences and Arts in 1925, and a member of the German Academy of Naturalists "Leopoldine" in Halle; he was also a member of many scientific societies and related organizations, both in Yugoslavia and abroad. Schools, streets and astronomical societies in Serbia are bearing his name. 1605 Milankovitch - a minor planet. Milankovitch, M. (1920). Theorie Mathematique des Phenomenes Thermiques produits par la Radiation Solaire. Gauthier-Villars Paris. Milankovitch, M. (1930). Mathematische Klimalehre und Astronomische Theorie der Klimaschwankungen, Handbuch der Klimalogie Band 1. Teil A Borntrager Berlin. Milankovitch, M. (1941). Kanon der Erdbestrahlungen und seine Anwendung auf das Eiszeitenproblem. Belgrade. Pantic, Nikola (1998). Kanon der Erdbestrahlungen und seine Anwendung auf das Eiszeitenproblem, New English Translation, Canon of Insolation and the Ice Age Problem. Alven Global. ISBN 86-17-06619-9. Mihajlo Idvorski Pupin, Ph.D, LL.D. (Serbian Cyrillic: Михајло Идворски Пупин) (1858 - 1935) (also known as "Michael I. Pupin") was a Serbian physicist and physical chemist. Pupin is best known for his landmark theory of modern electrical filters as well as for his numerous patents, including a means of greatly extending the range of long-distance telephone communication by placing loading coils (of wire) at predetermined intervals along the transmitting wire (known as pupinization). Pupin was president of the Institute of Radio Engineers in 1917 and the American Institute of Electrical Engineers in 1925-1926. 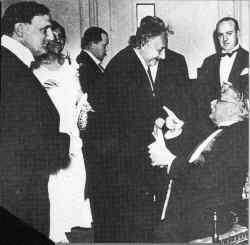 In addition to that, Pupin was president of the New York Academy of Science, member of the French Academy of Science and the Serbian Academy of Science. In 1920, he received AIEE's Edison Medal 'For his work in mathematical physics and its application to the electric transmission of intelligence.' Columbia University's Pupin Hall, the site of Pupin Physics Laboratories, is a building completed in 1927 and named after him in 1935. A small crater on the Moon was named in his honor. The Mihajlo Pupin Institute, an engineering and technological research insititution, was founded in 1946 in Belgrade. U.S. Patent 0652230, Art Of Reducing Attenuation Of Electrical Waves And Apparatus Therefor, filed Dec. 14, 1899. U.S. Patent 1541845, Electrical Wave Transmission, filed Dec. 11, 1915. U.S. Patent 1834735, Inductive Artificial Lines, filed Feb. 24, 1928. U.S. Patent 1452933, Selective amplifying apparatus. Josif Pančić (Serbian Cyrillic: Јосиф Панчић) (1814 – 1888) was a Serbian botanist who worked as a physician in rural Serbia and documented its flora during his frequent visits of the principality. He fell in love with mountain Kopaonik which he visited 16 times between 1851 and 1886. He was credited with having classified many species of plants which were unknown to the botanical community at that time. His most significant discovery was the Serbian Spruce, which he named Pinus omorika ('omorika' being the Serbian name for a spruce), later being reclassified as Picea omorika (Pančić) Purkyne. "Honoring Pančić's request, we moved him here to rest forever. We also announce his message for the Serbian youth: "Only with a thorough understanding and analysis of the nature of our country will they show how much they love and honor their homeland". The standard botanical author abbreviation Pančić is applied to species he described. Mihailo Petrović Alas (Serbian Cyrillic: Михаило Петровић Алас) (1868 - 1943), was an influential Serbian mathematician and inventor. He was also a distinguished professor at Belgrade University, an academic of the Serbian Royal Academy, and a fisherman. He was a student of Henri Poincare. Petrović contributed significantly to differential equations and phenomenology, as well as inventing one of the first prototypes of an analog computer. In 1894. Mihailo Petrović became a professor of mathematics in the Great School in Belgrade. In those days, he was one of the greatest experts for differential equations in the world. He held lectures until his retirement in 1938. In 1897, he became associate member of the Serbian Royal Academy and associate member of the Yugoslav Academy of Sciences and Arts in Zagreb. He became a full member of the Serbian Royal Academy in 1899, when he was only 31. Mihailo Petrović got nickname "Alas" (river fisherman) because of his passion for fishery. He was not only aficionado, but expert as well, so he participated in talks for legislature of the Fishery convention with Romania, and in talks with Austria-Hungary about the protection of fishery on Sava, Drina and Danube rivers. He was one of the most popular persons of old Belgrade, known as Mika-Alas. He also played violin, and in 1896, he founded musical society named Suz. Mihailo Petrović Alas constructed a hidrointegrator, and won gold medal on World exposition in Paris 1900. When in 1905 the Great School was transformed into University of Belgrade Petrović was among first eight regular professors, that elected other professors. Alas published a large number of inventions, scientific works, books and journals from his sea expeditions. He received numerous awards and acknowledgements and was a member of several foreign science academies (Prague, Bucharest, Warsaw, Krakow) and scientific societies. In 1927, when Jovan Cvijić died, members of the Serbian academy proposed Mihailo Petrović for the new president of academy, but authorities did not accept this proposal. Probable reason for this was the fact that Mihailo Petrović Alas was a close friend of the prince Đorđe P. Karađorđević, king's brother, that was arrested in 1925, and was held in house arrest. In 1931, members of the academy, unanimously proposed Alas for the president of the academy, but authorities again dismissed this proposal. In 1939, Alas became honorary doctor of the Belgrade University. In the same year, he received order of the Saint Sava of the first class. It is fair to say that Mihailo Petrović Alas is the greatest Serbian mathematician. He also founded the Belgrade school of mathematics, that produced a number of mathematicians that continued Alas's work. All doctor's dissertations defended on the Belgrade University since 1912 until the Second World War were under his mentorship. IX-th Belgrade Gymnasium "Mihailo Petrović Alas" is a high school in Belgrade, Serbia named after him. Mileva Marić (1875 –1948; Serbian Cyrillic: Милева Марић) was a Serbian mathematician, Albert Einstein's first wife (1903-1919), and mother of his three children. Mileva entered Einstein's life in a crucial period of his scientific achievements and helped him in his endeavor. 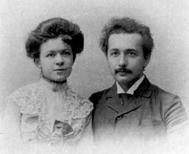 Einstein's marriage to Mileva was an intellectual partnership. Mileva Einstein, written by Desanka Trbuhovic-Gjuric, physician and mathematician. It was published in 1969 (in Serbian), and translated to German in 1982. Trbuhovic-Gjuric has done research in Russian documents and contacted family, friends and physicians who had contact with Mileva Marić, unlike many prior books which focused on sources written in German and English. The evidence that Trbuhovic-Gjuric provides is based on research undertaken more than fifty years after the events in question, however, and largely comprises third- or fourth-hand rumour and gossip which cannot be reliably substantiated, as Allen Esterson has shown in an examination of her contentions. Japanese publishing house Kousakusha has issued this book. Vuk Stefanović Karadžić (Serbian Cyrillic: Вук Стефановић Караџић) (1787 - 1864) was a Serbian linguist and major reformer of the Serbian language. Born in the Serbian village of Tršić, his first name "Vuk" means "wolf", which he was given because all his brothers and sisters died of tuberculosis, leaving him the sole survivor. Karadžić reformed the Serb literary language and standardized the Serbian Cyrillic alphabet by following strict phonemic principles. (In everyday usage, but less accurately, his alphabet is often termed a phonetic alphabet.) This made it one of the most usable in the world. Karadžić's reforms of the Serbian literary language modernized it and distanced it from Serbian and Russian Church Slavonic, instead bringing it close to common folk speech, specifically, to the dialect of Eastern Herzegovina which he spoke. Karadžić was, together with Đuro Daničić, the main Serbian signatory to the Vienna Agreement of 1850 which, encouraged by Austrian authorities, laid the foundation for the later Serbo-Croatian language, various forms of which are used in Serbia, Montenegro, Bosnia and Herzegovina and Croatia today. He collected several volumes of folk prose and poetry and created all the works listed below. Although the above quotation is usually attributed to Vuk Stefanović Karadžić, it is in fact an orthographic principle devised by the German grammarian and philologist Johann Christoph Adelung. Karadžić merely used that principle to push through his language reform (as stated in the book "The Grammar of the Serbian Language" by Professor Ljubomir Popović).